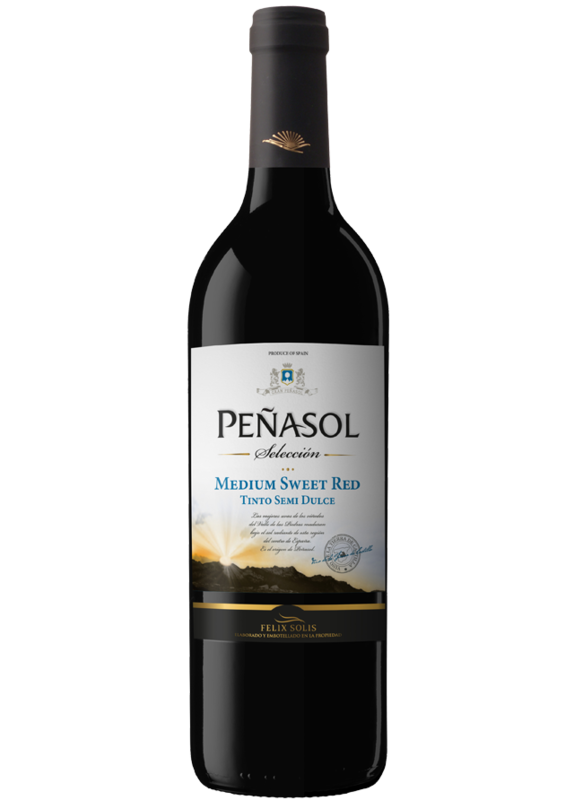 Peñasol Medium Sweet Red is a semi-sweet red wine, light, soft and with a pleasing palate that matches current trends. A wine to enhance your table and enjoy every day. This wine has a perfect balance between its sweetness and acidity. Its nose exhibits the pleasant herbal notes that characterise this variety. On the palate, it is fine and elegant, with a gentle first impression. Mediterranean salads and soups are ideal to accompany this wine. It can also be served with pasta and sweet desserts. Best served between 12-14 ºC.